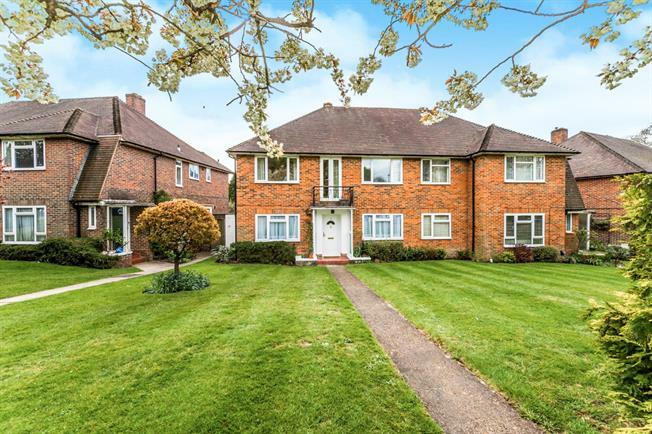 2 Bedroom Maisonette For Sale in Reigate for Asking Price £350,000. The grounds to this impressive home will blow you away as they are immaculately kept. This home, being ground floor, enjoys direct access from both the living room and kitchen onto these beautiful gardens. Accommodation includes a spacious hall with storage cupboard, a living room with separate dining area, fitted kitchen, two double bedrooms and a fully tiled bathroom with window providing natural light. Viewing is a must!